Nature is clever. 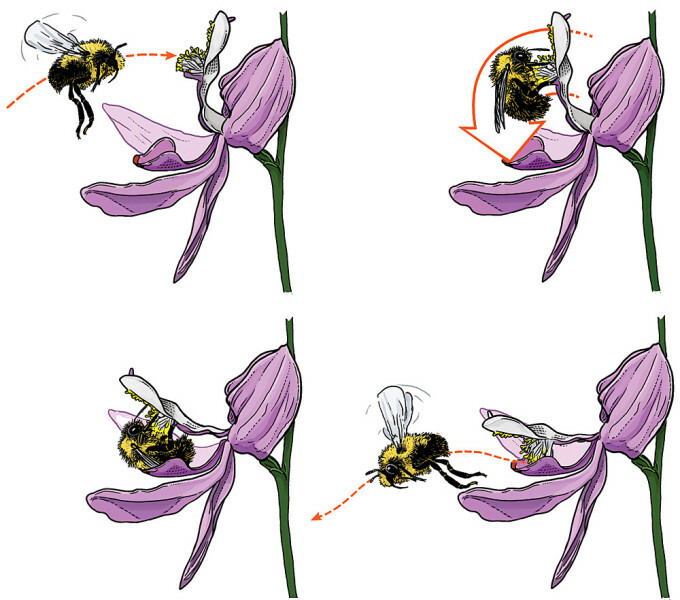 The calapogon orchid lures an unsuspecting bee onto its attractive-looking lip which snaps shut, forcing the hapless critter to crawl out though a tight space. The reproductive parts are below which the bee pollinates with its furry back.